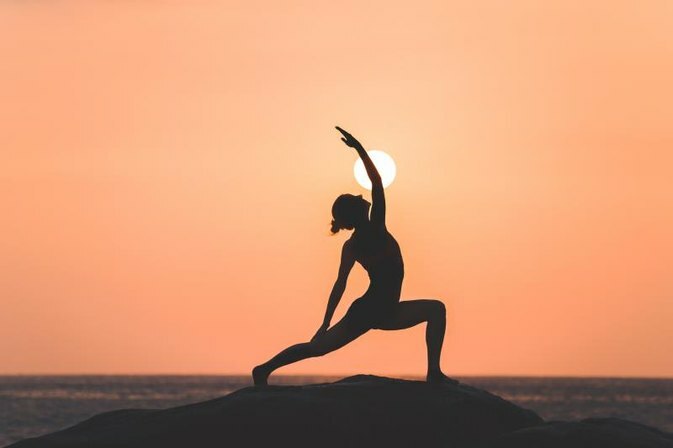 This quick rundown of the 5 most basic and well-known yoga styles can help familiarize you with the concepts and terms behind modern yoga practices and the emergence of other popular styles today. Understanding these styles can also help you choose the most suitable one for your own practice from the increasingly wide variety of options in today’s gyms. Hatha in Sanskrit translates to ‘force’. It is a broad term that describes the physical practice of yoga and generally comprises any type of class that teaches asana (yoga posture or exercises). This means most popular styles of yoga is technically Hatha yoga. Today, when a class is advertised as ‘Hatha’, you can often expect a tame and slow-paced program teaching you basic yoga postures and pranayama (breathing exercises). As such, Hatha is a suitable style to begin your yoga practice. For the more experienced, this class could help you work on your flexibility, alignment, and relaxation. Often touted as ‘classical Indian yoga’ in modern practice, Ashtanga yoga was established by Sri K. Pattabhi Jois in the 1950s. An Ashtanga class typically leads you through one of six established series of asana sequences, which advance in difficulty from the first series. Each series is performed in the same order every time, moving you from posture to posture in a fluid, non-stop manner synchronized with each breath. This heats up the body intensely causing profuse perspiration, making it a vigorous and demanding style of practice. Vinyasa – meaning ‘to place in a special way’ in Sanskrit – refers to the linking of movement to each breath. Vinyasa yoga generally describes styles that are flowing and intense in movement, progressing from one posture to the next with each inhale or exhale. This makes Ashtanga a style of Vinyasa practice, but while Ashtanga follows a prescribed sequence, each Vinyasa class can be different. Popular variations such as Flow Yoga and Power Yoga stem from this style – the latter an aerobically-intensive adaptation of the Ashtanga by Bryan Kest, a student of Jois. Bikram is a style of yoga that takes place in a heated room of 95-108°F (35–42 °C) and humidity of 40%. Although commonly marketed as a beginner’s class due to its basic poses, new students should note that practice becomes markedly harder in the hot tropic-like conditions. Popularized by Bikram Choudhury in the 1970s, Bikram is performed the same way every time – a sequence of 26 poses, each done twice, the whole session lasting for 90 minutes. Since any deviation from the original sequence cannot be named ‘Bikram’, and only Bikram-certified instructors can teach the class, many gyms offer other ‘Hot Yoga’ variations instead. Iyengar is characterized by its focus on physical alignment of the body in asana or the precise way of performing each yoga posture. To do this, Iyengar classes provide a unique element – props – such as straps, towels, blocks or cushions. These support students in achieving their best alignment without the risk of injury or strain, while they progressively perfect their practice. Props also allow the weak, aged, or injured reap the benefits of asanas without the full strength of supporting one’s body in a pose. Another distinguishing feature is that Iyengar instructors teach by actively verbalizing incorrect postures, unlike styles which take on an independent and experiential approach of ‘learn by following’. B.K.S. Iyengar, who pioneered the style in the 1970s, believed that developing body balance and strength can promote well-being in mind and spirit.